You may recall the news that Margot Robbie was executive producing and reprising her 'Suicide Squad' role as Harley Quinn in a spin-off film featuring DC Comics famous female heroes and villains. The last report included DC's superhero team of Birds of Prey - Batgirl, Huntress, Black Canary. 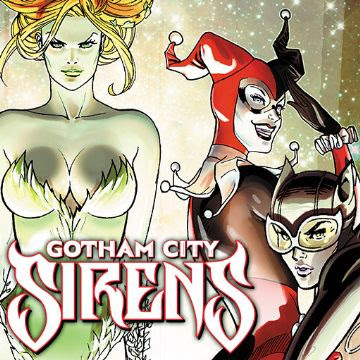 Now the word is that not only is David Ayer directing but the film is called 'Gotham City Sirens' which means we're likely to see Catwoman and Poison Ivy. The Hollywood Reporter broke the news on Tuesday that the project is on the fast track but no release date has been announced. Robbie's Harley was one of the highlights of the box office hit, Suicide Squad, and with Ayer returning to the DCEU, Gotham City Sirens should be another blockbuster. It would mark a groundbreaking event to have not just a female lead in a comic book movie but to have an ensemble of female characters in a genre that traditionally leans heavy on male characters. It was previously reported that hot screenwriter Christina Hodson was doing the writing duties but it appears another in-demand scribe, Geneva Robertson-Dworet, has been hired to write instead. She already has experience writing a sequel (Sherlock Holmes 3) and a reboot (Tomb Raider). With principal photography for Bright, a Netflix fantasy thriller starring Will Smith and Joel Edgerton, nearing completion, Ayer was available to direct Robbie once again as Harley, a breakout performance in the $745 million global box office hit. It is now the 13th highest-grossing superhero release of all time domestically despite less than congenial reviews from critics. Paying customers are what's driving the success of DC's current slate of films. A Suicide Squad sequel is still in the works as well as a possible spin-off for the film's other standout anti-hero, Deadshot, played by Will Smith. Robbie's desire to produce a Harley Quinn film has been in development for months. It's taken on different approaches since she immersed herself in the backstory of the character, reading graphic novels in preparation for the role, and deciding to bring to life more of DC's iconic female heroes and villains on the big screen.